The SHOYOBALM brand is a French brand renowned for the quality of its natural and ecological salvage balms, created in partnership with a specialized laboratory. 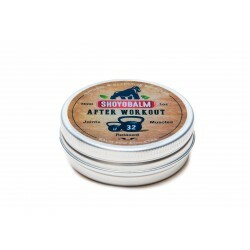 SHOYOBALM products are products known to help the recovery and well-being of athletes. After Workout products are ideal for athletes who want to recover in the best conditions. Why are these products great? It's simple, their natural and organic formula helps prevent and cure mild ailments. Formulated with aromatherapy, SHOYOBALM products are a complex combination of carefully selected essential and vegetable oils. The products are guaranteed paraben, paraffin, petrochemical derivatives and PEG free. The products are conceived in a Citizen, ecological and responsible approach.